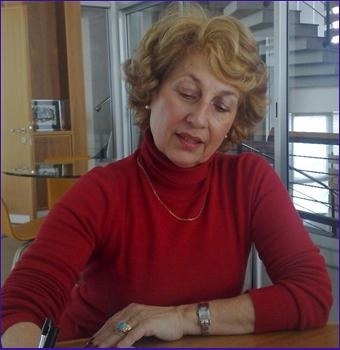 Mrs. Krini Askanis has been teaching English since 1970 and has taught in London, Athens and Limassol. A substantial part of her career has been devoted to teaching EFL to young and adult learners in Limassol, Cyprus. Her teaching experience also extends to academic teaching in English Language and English Literature at advanced pre-University level. In Athens, where she taught for a number of years at a well known private high school, and designed EFL courses for in-company programmes, she was awarded the DELTA diploma (Diploma of English Language Teaching for Adults). Mrs Krini Askanis’ in-company programmes are designed for business professionals looking to develop their language and professional skills. Her expertise include: meetings and communication strategies, presentation skills, negotiating skills and understanding cultural differences. Her high level of training and extensive teaching experience as well as her expertise in school and classroom management skills have enabled her to enjoy a long-standing reputation in the field of English language teaching.